In last week’s blog post about the best small bags, I mentioned that as long as I can fit my phone, chapstick, car keys, and sunnies into my bag, I’m all set! Sunglasses have become such a trend because of their unique ability to pull an outfit together (and, ok, protect your precious eyes from the blaring sun). Although some sunglasses can be a little pricey, they can last a lifetime if you take good care of them. I actually have a few vintage pairs my mom has handed down to me from the 80s (#score). 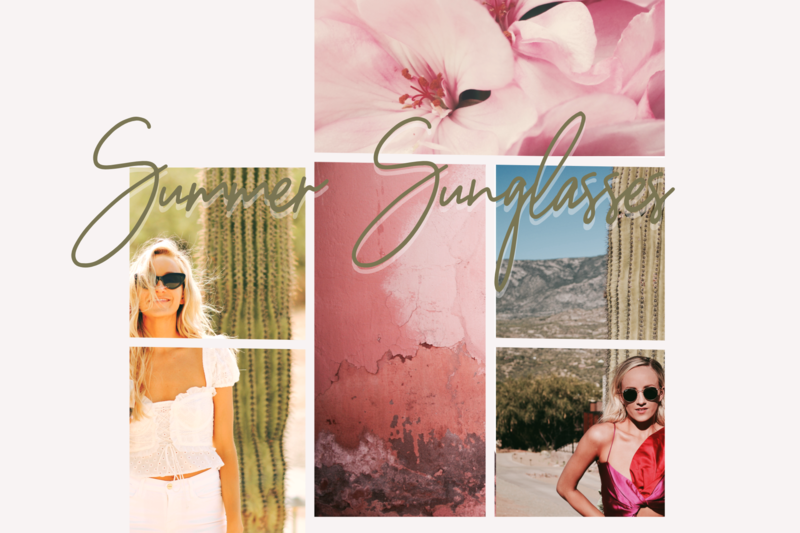 There are so many wild sunglasses out there, from oversized to undersized, from round to cat eye, from plain to bedazzled. My go to pair right now are my Le Specs Cat Eye Sunglasses, they are so perfect and go with almost any outfit. Le Specs Luxe – BOOM! Shop some of my other favorites below!